The 818W has further evolved in this new range of parking sensors developed using a leading-edge wireless technology which transmits data via radio waves. No cable connection is needed between the electronic control units and the display. The control units are completely water resistant and can be installed directly on the bumpers or in the engine compartment. The LCD display integrates a wireless interface and a built-in warning speaker. Installation is fast and easy on any vehicle and bumper. 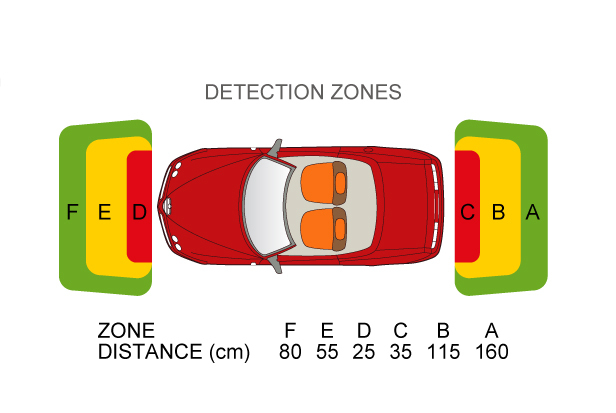 These wireless parking sensors are ideal for vans and motorhomes.